Send me an email with your first name. 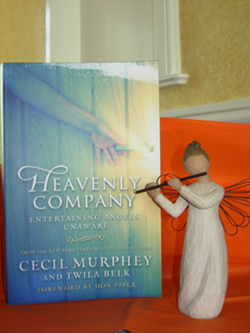 Heavenly Company Entertaining Angels Unaware offers hope as people just like you share how God intervened in the desperate situations they faced. Included with the book, the winner will receive Willow Tree's Angel of Harmony. - Johnny Appleseed was born John Chapman, September 26, 1774. - He spent 49 years of his life planting apple seeds through at least five states, including Indiana and Ohio. - Apples are still harvested today from trees he planted. - October 21 is National Apple Day. - Everyone wants in on the fun. Towns across the country host Johnny Appleseed Days each fall! Past festivals in Paradise, California included a 9' wide apple pie that served 800 people. In 1974, Paradise served up a 1,000 lb. applesauce cake! Sharon - In college I took my first drawing and painting classes. I found I did have some talent and really enjoyed creating and getting lost in the work. 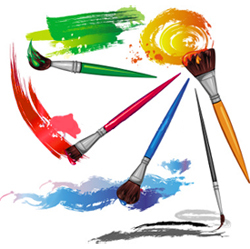 I continued taking classes on and off for about twenty years from a local artist, Carol Haraer. She helped boost my self confidence and encouraged me to continue painting. During this time I also started to quilt, which I am still doing. Carol learned she had ovarian cancer. She fought hard. One day she called me to help her shower. I dropped everything and went over to help her. Although, I could see that her body was loosing its battle, Carol had me convinced she would beat it. She died a few weeks later. I have not picked up a paint brush since then, I think it has been about 7 years. I know she would not be happy about this. I have struggled so with it. So this year I have decided to try to start painting again. Judy - I love crafting. I'm a quilter and working on 3 projects I hope to finish this year. I love to machine embroider, always coming up with an excuse to do some. This year it's towels for everyone for Christmas and also pillowcases for the grandchildren. Knitting and crocheting last year it was a pair of socks for everyone. Would like to do a sweater this year. Tried crocheting one, but that yarn will now be a shawl. Sometimes I am led to share a shawl with someone having a tough time, so maybe that's what will happen to this one. Cooking is taking a curve this year as all 3 of us at home need to lose weight. New recipes and adjusting others will be a challenge. So I guess goals the first of the year give purpose. Getting the materials to make them is next. Accomplishing the goals comes third. Accepting that sometimes God has another plan for what is made is always present. Giving the gift or accomplishing the goal is a great way to finish. Mix flour and salt in a medium-sized bowl. Cut in butter until mixture crumbles. Mix in egg yolk. Add ice water. Roll into a ball and pat into a circle about ¾" thick x 5 ½" in diameter. Wrap in plastic wrap and refrigerate for 30 minutes. Roll dough to line a 10" tart plate. Roll out almond paste and line crust bottom. Start in the center and layer apples in a wheel shape, overlapping edges, and working out toward edged of crust. Finish with a wheel of apples in the center. At this point you could sprinkle cinnamon and nutmeg over the tart. Preheat oven to 400*. Bake for 15 minutes. Lower oven temperature to 350* and bake another 15 minutes. Remove tart and drizzle three-fourths of icing over the top. Sprinkle with sliced almonds. Return to oven and bake 3 more minutes. Remove from oven and drizzle remaining icing over the tart. Let set for 2-3 hours and serve. Mix 1 cup powdered sugar with 3 ½ Tab. water. One year we watched Disney's film about the American legend, and learned the song he sang as he traveled the countryside planting apple trees. Another year, a parent read a book to our group about the pioneer. 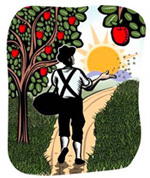 Visit the following link to learn Johnny Appleseed's famous song. Every fall our group either borrowed or rented an apple press. Parents and kids alike took turns dumping apples into the press. Each one turned the crank, while the rest of us watched fresh juice spurt from the spout. Fill a tub with water and some apples. The person bobbing holds their hands behind their back and tries to catch an apple with their teeth. Players split into teams of five or six people. Each team receives a large apple. The players keep their hands behind their back, and while holding the apple try to pass it off to the team mate behind them. The first team to complete the relay wins. Why not host your own fall party? 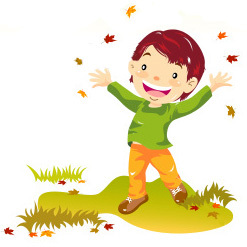 No need to worry if you don't homeschool, just invite your neighbors, child's school class, or your extended family over for some good fall fun! 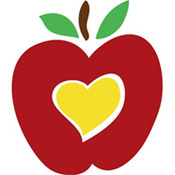 Visit http://dltk-kids.com and search Johnny Appleseed for more great ideas.